Sri Lanka’s kaleidoscopic natural variety and friendly people present ideal opportunities in this field. Picturesque, varied and unspoilt landscapes, lowlands, highlands, wet and dry zones, each with characteristic vegetation and fauna, unique lifestyles and interesting occupations promise fine fare. 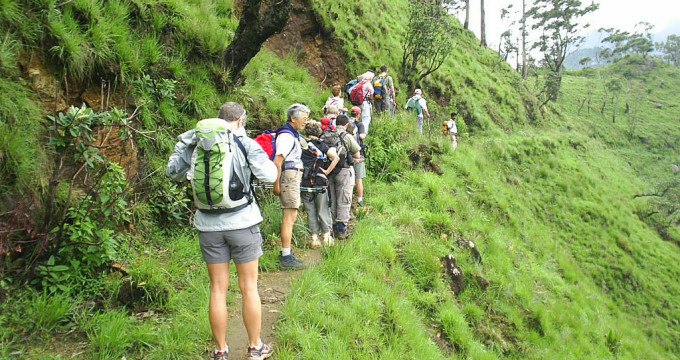 Our itineraries take you deep into rainforests, cloudforests and grasslands in the Sinharaja and Knuckles Ranges and the Horton Plains, through tea and rubber plantations and wayside villages to high waterfalls and deep caves, dizzy precipices such as World’s End and unforgettable panoramas such as Ella and Corbett’s Gap. The paths lie off beaten tracks through rough unroaded terrain as well as on well-kept, remote and lovely highways such as the Hayes-Lauderdale, which threads through the Bulutoto Pass.